Click here to get the best deal on eHost available today. And that will get us started on that new blog of yours. If you still aren’t sure why you need a blog go read Part One of my Guide to blogging. 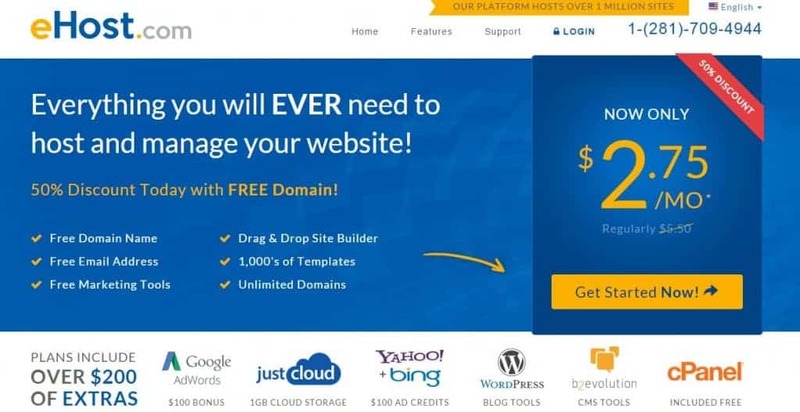 Once you go to the eHost site you can choose the plan you want. However,as a new blogger , I recommend the basic plan. If the domain is not available, then you get a list of similar domains you can use. Choose one of the suggested domains or find another domain using one of the tools I mentioned before (NameMesh.com). Once you get it good domain name you’ll be able to go on the registration page to add a new billing details. Don’t worry, eHost uses the safest encryption software to keep all of your billing information secure. When you enter all of your billing information, a screen will come up hosting plan contract options. Come in as well, 24 or 36 package. Just check the box more appropriately fits your budget. The Process usually just takes a few minutes to set up your account, after which you can simply log in. All you have to do is go to the eHost homepage and select Login. Type in your domain name and the password you chose when you registered. Now we can finally get to the good stuff! Once you’ve logged into your account, you’ll see the eHost control panel, also known as the cPanel. This is where we can install WordPress, the software needed for your blog. The first thing you do is close all your other Internet tabs. An installation takes up a lot of your Internet resources, so you want to make your machine as fast as possible, and ensure that every file is uploaded correctly. In the control panel of your eHost account look for the install WordPress icon. This is the little picture that looks like the WordPress logo. Click the link and the installation will begin. Follow the on-screen directions to complete the installation process. WordPress is now installing! This should only take a few minutes. You’ll receive an email confirmation with your login information as soon as you finish the installation. Save this email just in case you lose your user name and password, but don’t worry too much about this as you can always request a password change from WordPress at a later time. We’ve made it our mission to help you research and choose products and services that match your needs and budget. How? We strive to provide you with comprehensive, in-depth, unbiased reviews ranging from web hosting providers to digital marketing tools, business resources and more. Disclosure: This project is funded in part by affiliate referral fees for signups from many of the hosts listed on this site.